As per the sources, Potti was suffering from neuronal cell damage and brain stroke. One day before, i.e., on Sunday, he was taken to a nearby private hospital as his sudden deterioration in health was reported. The doctors informed his family that his condition was critical. They tried their best but in vain. Rambabu used to live in Burugupudi in Korukonda Mandal of East Godavari district. He debuted in the film industry with ‘Eeshwar’ a film starring Prabhas in 2002 via which he got a break in the niche. In his career of 14 years, he appeared in 40 movies. The talented comedian got much appreciation for his work in movies likes of ‘Eeshwar’, ‘Chantigadu’, and ‘Donga Dongadi’. While his performances in ‘Class Room’, ‘Chantigadu’, ‘Prematho’, and ‘Nuvvu Vasthavani’ were notable. Potti Rambabu was going to debut as the lead actor via the film ‘Puliraja IAS’. Raghava Thiruvaipati was directing the flick. 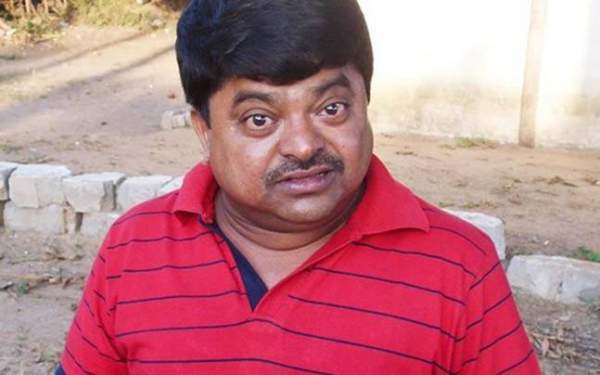 Speaking of the whole Telugu industry then, it has lost a total of 21 celebrities in this year and Rambabu became the 22nd celeb who passed away in 2015. His death is being mourned by the industry as well as the fans. Many of them expressed their grief over his demise on Twitter. Stay tuned for the latest film industry and celebs news and gossips.